While lesser news outlets devoted plenty of time yesterday to the FBI’s move to raid the offices of Trump attorney Michael Cohen, the stoic journalists at Fox News understood the latest presidential scandal as exactly what it was: a temporary distraction from the breaking stories America truly needs to know. Safe in your beds, gently dreaming the comforting dreams of a global superpower’s highest office dissolving before our eyes, you may have mistakenly thought all was well. 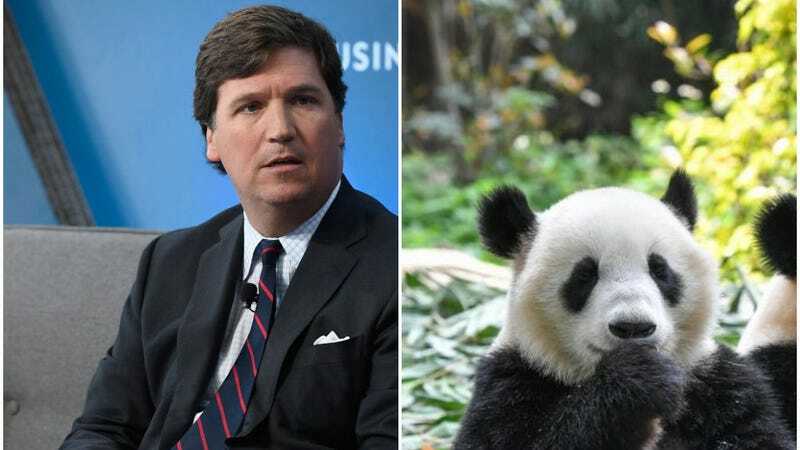 Luckily, we have Tucker Carlson here to get to the issues that really threaten our lives—issues like the lies we’ve all been swallowing about the super horny, super murderous panda bears nestled like vipers in the naive bosom of a blind nation. It’s a chilling report that liberal news channels wouldn’t touch with a ten-foot pole. Luckily, though, the pandas are still contained and America will never know the horrors of unchecked mass violence and sexual promiscuity under the watch of stewards like Carlson.